$299.99 $164.99 45% off *Discounted price shown in red box. 1 to 3 business days for production from payment and artwork approval. Economy ship transit time is an additional 2 to 5 business days. Upgrade to a double-sided body? By default, both sides will be the same. This upgrade allows for different graphics on the front and back of the puppet. A blower is necessary to use this air dancing puppet. Purchase an extra dancer body? Buy with this package and save BIG. Only $94.99. Design has to remain the same. Add text to each arm’s front and back. Before we jump in to other details, lets u tell tell you why you should choose us. Below is an image listing reasons why. In addition to the list below, we also produce each custom 20ft air tube dancer in-house. 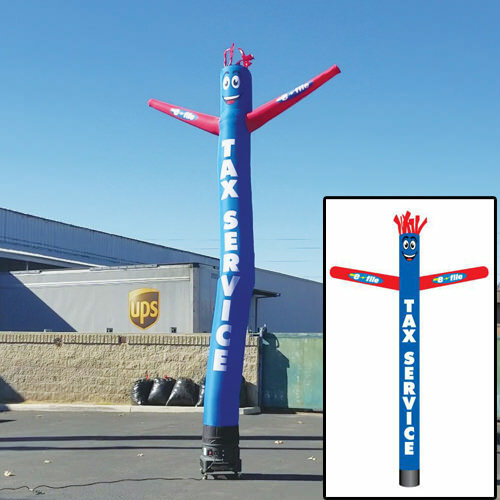 Yes, each inflatable man is made in the USA with the quality control. We use the best materials, inks, and craft each air tube dancer from the ground up. We also do not embroider our text or graphics to our dancer. Our competitors make use of the word embroider to make it should like they are doing something special, but in reality, they are simply sewing the letters onto the body of the dancer. Our printing process allows us to directly print to our air tube dancer materials, which means no sewing of any graphics. Our text will not start flying off the air tube dancer once it begins to wear down. 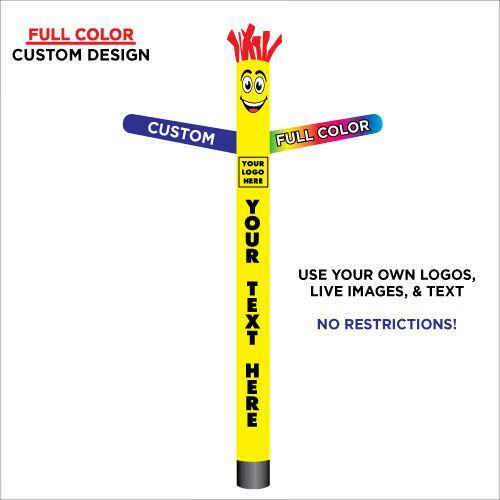 This printing process also allows us to print live graphics — such as full color logos and product images — which gets you an air tube dancer that actually gets your brand noticed. Returns are not accepted for any custom made products. 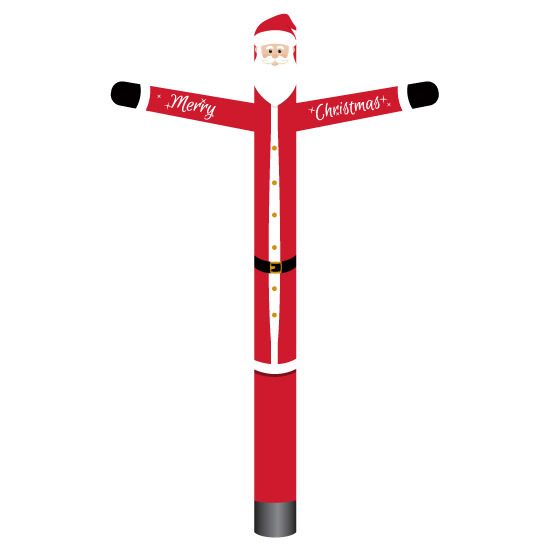 This includes inflatable tube man air tube dancers, custom flags, vinyl banners, sidewalk signs, etc. We cannot guarantee any color matching. Using pantone color codes is highly advised, as our machines tend to match them the best. Under no circumstances are returns accepted for custom products due to color variance or late deliveries because of UPS/FedEx/USPS delays. Our professional designers will create the perfect layout to advertise your business or brand. Read the key features that allow our custom air tube dancer to stand out from the competition. 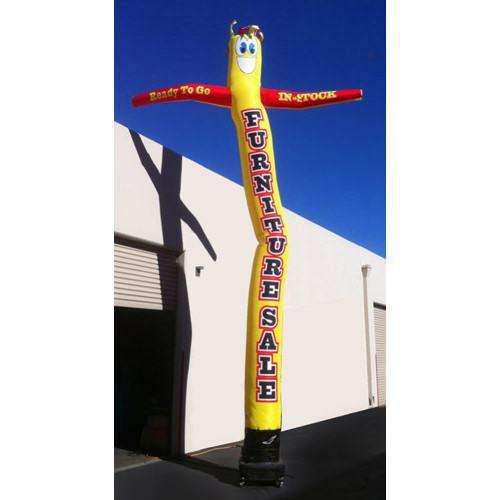 Our air tube dancers are made to attract eyes to your location and keep them there. Just look at the awesome design we did for a client below. 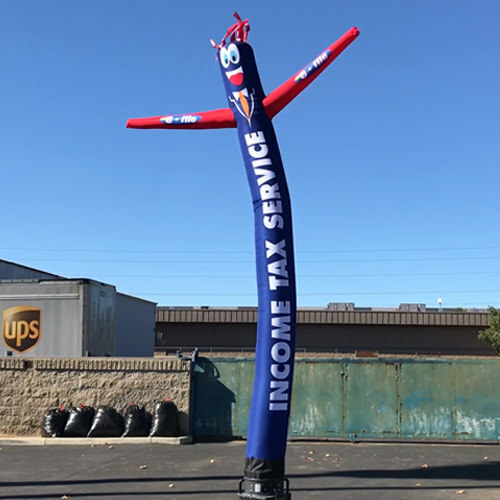 These inflatable tube men stand very tall, so be sure to look out for power lines or other objects in the way when powering up your sky dancer. 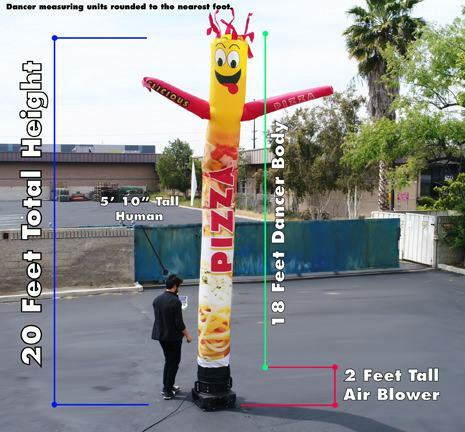 Dimensions of our custom 20ft air tube dancer. Live video of some of our sky dancers happily dancing around outside our location. Looking for additional advertising ideas to create more impressions? Be sure to check out our variety of advertising flags. Our most popular styles include custom feather flags, teardrop flags, and rectangle flags. Each of these banner flags have a unique shape and style. Choose the one that works best for your location. Q Is there a template for the custom dancer? Q How do I add my logo and text to the body? Q What is the color of the arms and the hair of the yellow air dancer if i get it plain with no printing and does it come standard with the face?